A game of epic proportions! 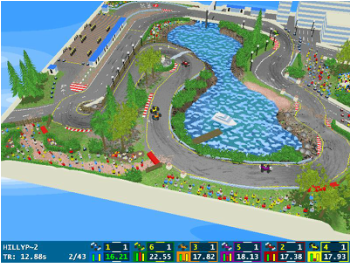 "Real men drive 40 polygons", using a game map designed with a 16 colour bitmap. 'Nuff said. Look at the menu bar above for tracks and competitions. This work by A. Gough is licensed under a Creative Commons Attribution-NonCommercial-ShareAlike 3.0 Unported License.